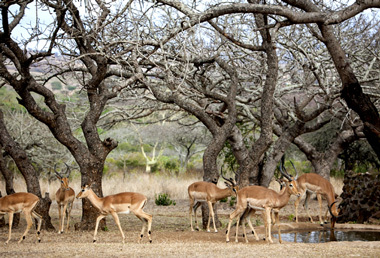 Situated a mere four kilometers from Hluhluwe Town, and on the access road to Hluhluwe-uMfolozi National Park, Ubizane Wildlife Reserve is an invaluable location for any tourist to experience wildlife while travelling in the surrounding area. 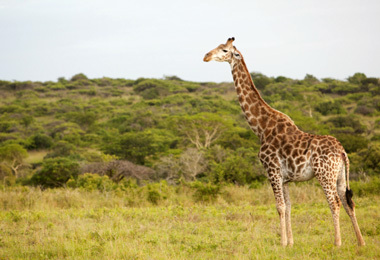 The reserve is centrally situated two and a half hour’s drive from Durban’s King Shaka airport, 10 minutes from the Memorial Gate entrance into the Hluhluwe/uMfolozi Park, 45 minutes to St. Lucia and about an hour to the Mkuze Game Reserve. 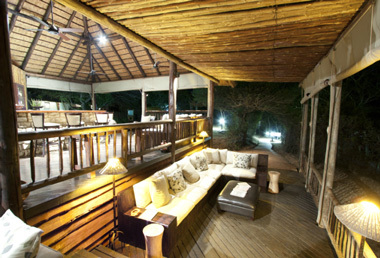 The property showcases two uniquely diverse accommodation establishments, Zululand Tree Lodge, a Luxury Lodge dramatically set high up on stilts between the Fever Trees, and Zululand Safari Lodge, stretched out across rolling lawns under Acacia Canopies, which is a delightful family-friendly self-catering lodge, ideal for breakaways from urban life with the family. Mysteriously hidden in the treetops on stilts in the cool, whispering tranquility of the fever tree forest is where you will find this lodge. 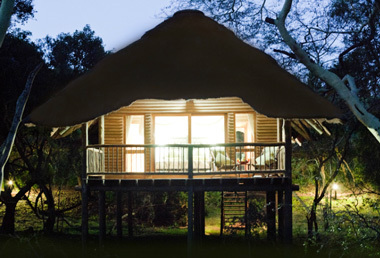 The heart of this lodge has a magnificent guest area, a restaurant with a view of giant fever trees, views of passing wildlife and lit up at night to create a dramatic effect. The swimming pool and bar looks onto the beautiful fishpond and there is a watering hole which is visited daily by families of warthogs and nyala. With paved pathways leading to twenty four luxuriously appointed thatched roofed rooms facing the fever trees, and each room having its own personal viewing deck, guests can observe the surrounding wilderness in private seclusion. 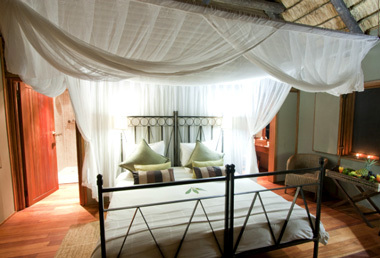 Each room has an enchanting view of the forest from the bedroom through large glass sliding doors, to ensure that guests are always able to view the splendor outside and is fitted with an en-suite bathroom with shower, dressing room, coffee/tea making facilities, bar fridge, mosquito nets, ceiling fan and private viewing deck. Delicious Pan African cuisine is served at dinner time with the accompanying sounds of the reserve’s nightlife and the spectacular views. Mealtimes at Tree Lodge are served at different venues, either the Tree Lodge Restaurant with its beautiful wooden finishes or the rustic Boma, or sometimes their Bush dinner site. This lodge has a heritage spanning over 40 years and is scattered around the spacious rolling lawns dotted with aged Aloes, replanted from different areas on the farm, as well as Scented Thorn Trees, providing a beautiful backdrop to the setting. 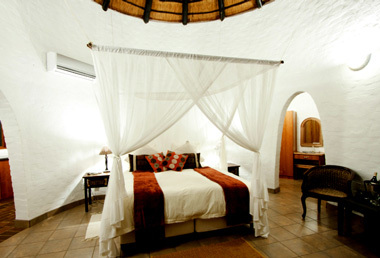 Rondavel-style rooms all face the permanent watering hole nestled under the magnificent Amarula trees, quenching the thirst of giraffe, zebra, nyala, impala and kudu. There are a variety of different styled rooms at Safari Lodge, all of them with glass paneled sliding doors, allowing not an inch of nature escaping without being noticed by the guests from within the rooms. 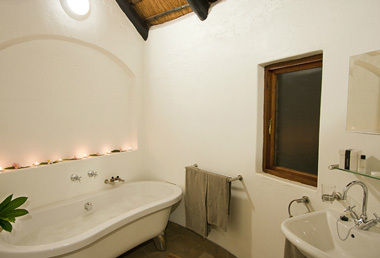 The different rooms at Safari Lodge includes double bedded, two sleeper rooms with en-suite bathrooms with showers, as well as four-sleeper family rooms with en-suite bathrooms, including bath and shower facilities, and then a third option are the select few which have a bath and an inside shower as well as outside shower, extending the nature experience yet another step further. 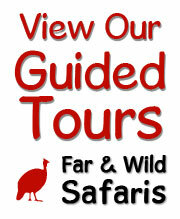 All rooms are fully self-catering, possessing a fully-equipped kitchen. 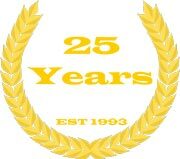 Each room has its own patio with comfortable furniture to spend as much time as possible out of doors. For the children there is a play park area, to keep up with youthful energy release while parents can absorb the breathtaking scenery. 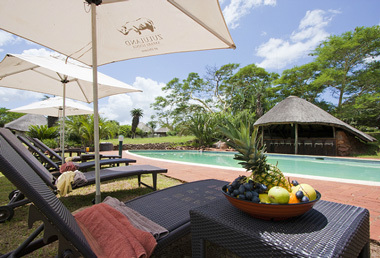 The pool loungers at Safari Lodge’s swimming pool are the perfect retreat to do some bird watching from. 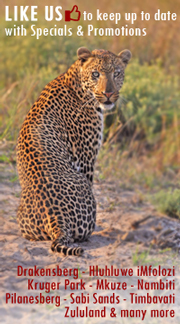 Activities here are nature related, with game drives on their own Ubizane Reserve as well as in the nearby Hluhluwe/uMfolozi Park and bird-watching, with over 400 species recorded here.